On behalf of the author and the entire staff at Primal Blueprint Publishing, I’m pleased to announce the release of The South Asian Health Solution, by Dr. Ronesh Sinha. South Asians are some of the most sedentary, insulin resistant people on the planet, making India a global capital for conditions like diabetes and heart disease, with heart attack onset often significantly earlier in the 3rd or 4th decade of life. Dr. Sinha’s unique ancestral health-based wellness approach to achieving success in this very high risk population can be applied not only to South Asians living in India, the United States and across the world, but to individuals from any ethnic background. Dr. Sinha is an internal medicine physician in California’s Silicon Valley. He sees high-risk South Asian patients and runs education and wellness programs for big name corporate clients like Oracle, Yahoo!, and Genentech to name a few. He has taken patients from diverse ethnic backgrounds out of the high-risk, high body mass category and helped them reverse disease risk factors without medications. As a member of the mainstream medical community, Dr. Sinha is playing an important role in gaining respect and credibility for the Primal approach to reversing heart disease and metabolic disease risk factors. For the naysayers that he encounters among his brethren, he simply has to pull out lab reports that show shocking improvement in blood risk factor numbers in patients who he treats primarily with dietary and lifestyle modification techniques instead of the usual blanket medication strategy. In 2013, he was a co-recipient of the Silicon Valley Business Journal with a prestigious Excellence in Healthcare award. This past September he was invited to give his first TEDx talk on culturally tailored health and healthy apps and has been invited back for a 2nd TEDx appearance this May. We first came in contact with “Dr. Ron” at a Primal Blueprint Transformation Seminar in the Bay Area back in 2012. Ron and his wife Shally (a pediatrician who treats childhood obesity and was a contributor to the book) were in the audience and made an impression on presenter Brad Kearns with their pointed questions and insightful commentary about their real-life experiences with the danger and destruction caused by the Standard American Diet, and the success of people transitioning to a Primal approach. 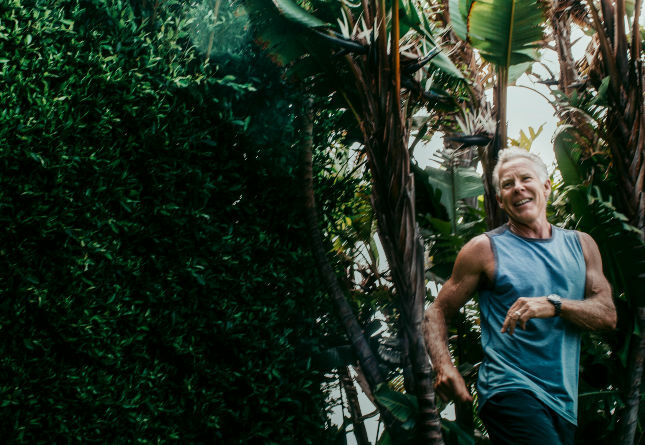 As a presenter at PrimalCon Lake Tahoe, I’m not kidding when I say Dr. Ron absolutely rocked the house with his lively discussion of heart health, the medically supported benefits of Primal eating and living, and general question and answer banter. Ron’s enthusiastic personality shines through in this book; it’s an easy read filled with colorful analogies designed to help you understand – and remember – complex medical terminology and metabolic processes. It even has a special section at the end of each chapter for physicians and allied health professionals on how to implement effective lifestyle strategies for patients and clients. 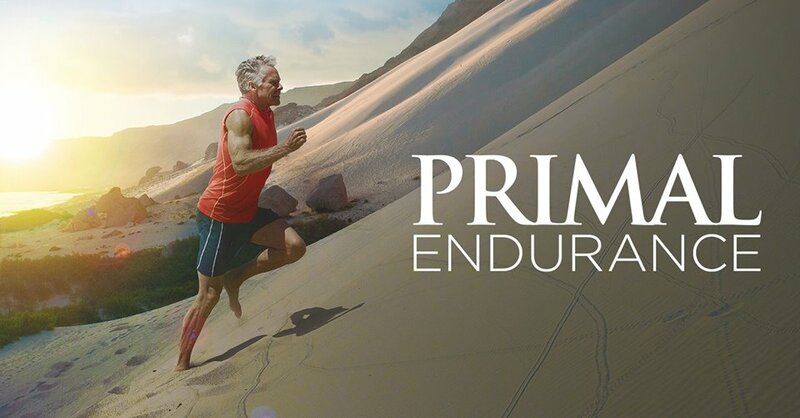 If you’ve been wanting to try a Primal Blueprint product, or are already a regular Primal Blueprint customer, this is the perfect opportunity: you get a fantastic new book from Primal Blueprint Publishing and your choice of anything from PrimalBlueprint.com at a reduced cost for a limited time. And hey, every book purchase helps support everything we do here at Mark’s Daily Apple. If you enjoy this free resource, if for no other reason, consider purchasing a copy today to help keep MDA going strong. 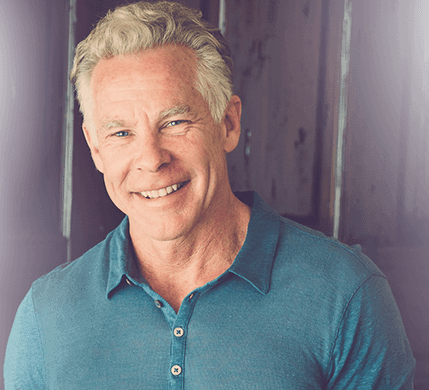 Join Dr.Ron for a one-on-one phone consultation where he will talk to you about your health challenges, give you guidance on assessing your risk factors and how to work with your physician and health care team to get you on track to optimal health. Dr.Ron sees high risk patients in his clinic and also runs wellness programs for large companies and is happy to share the most successful strategies he has used to help individuals achieve their goals, whether it’s weight loss, improving energy, managing stress or a path to possibly getting off your prescription medication. One lucky randomly-drawn winner will receive the one-on-one phone consultation. Buy 1 or more copies from Amazon.com, BarnesandNoble.com, PrimalBlueprint.com or any other book retailer. Submit your receipt by filling out this form and you will be emailed your free gift certificate and get a chance to have a one-on-one phone consultation with Dr. Sinha. So what are you waiting for? Grab your copy of The South Asian Health Solution and take advantage of this special offer today! Thanks in advance to everyone that orders a copy and participates. Grok on! This special bonus offer ends at 11:59 pm, March 12, 2014 (PST). All receipts must be received by 11:59 pm, March 19, 2014 (PST). The form will stop working on March 20, so be sure to fill out the form and submit your pre-March 13 receipt(s) by then. 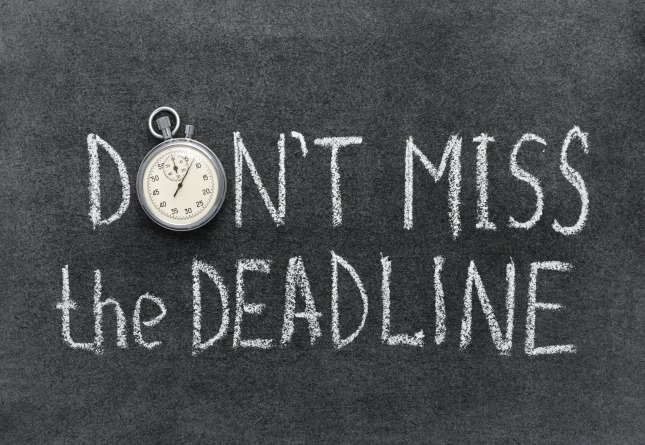 You will receive an email within an hour of submitting your receipt that will provide you with your PrimalBlueprint.com gift certificate code. The value of the PrimalBlueprint.com coupon code is $17.58 and reflects the cost of the book on Amazon.com at the time of writing this article. The cost of the book on Amazon.com may rise or fall depending on demand for the book and other factors out of our control, but the value of the coupon will stay the same. 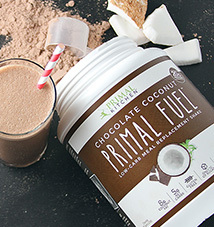 The PrimalBlueprint.com coupon expires on March 31, 2014, and is valid for a single use. Only one gift certificate and sweepstakes entry per person. In other words, whether you buy 1 copy or 10 copies, you will receive a single gift certificate and sweepstakes entry. A winner will be randomly selected for the one-on-one phone consultation on March 20, 2014. Only one person will be awarded the phone consultation. All book formats are eligible, including physical books and digital versions (e.g. Kindle). Next post >Wishing You Were Here! Hi! This book seems really interesting. What kind of recipes and information in this book applies to strict vegetarians(no fish/eggs) or vegans? As a medical science graduate student, I get ridiculously excited EVERY time I see a physician embracing food as medicine. It gives me real, tangible hope for the future. I am glad to hear there is someone like you! I am almost graduating to be a nurse and there are limitations of what I can teach my patients. I always have to hold myself from telling all my patients to just follow the primal diet!!! IMMEDIATELY went to Amazon to purchase the Kindle version! Had come to MDA to read today’s blog and order some chocolate coconut protein powder, so thrilled I’ll get a coupon to boot! I, too, am thankful that at least some members of the medical community are getting on board with using diet to cure health conditions. Thanks, Mark! It’s good to see more and more medical doctors, in the traditional medical industry, writing about the importance of nutrition and the ability of the individual to directly impact their own wellbeing. It’s a good and welcome trend. Long may it continue. Maybe there’s hope for us yet. Thanks to Dr. Sinha and MDA. I am always wary of such books because that’s where people get screwed up ideas that the traditional Okinawan diet is “almost” vegetarian and that it’s “starched based” (neither of these “guiding principles” is remotely correct) and that the traditional Mediterranean contains very little meat or animal fat (again, pure fiction–the sheep, goats, and pigs are not there for decoration). So I’d be interested in how accurate someone truly from a South Asian background finds the claims in this book? Thank you Mark! 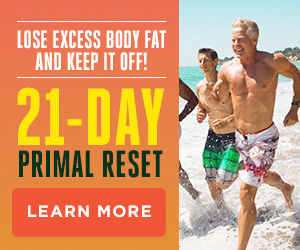 For the Primal Blueprint & for spreading the word around to have reached doctors! 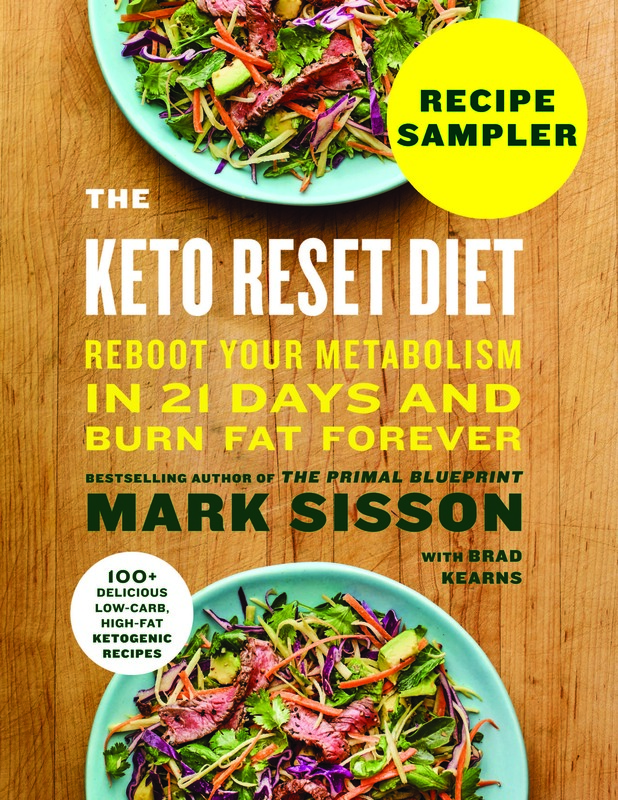 I’m fascinated by the premise of the book because as a south asian (indian) I find the Primal Lifestyle to be a great solution to the issues I’d faced as a youngster (obesity, lack of energy etc due to potential insulin resistance – I havent confirmed this). A traditional south asian diet is as non-primal as it gets – tons of carbs, sweets & sugars, lentils, all manners of starch and of course, lower %s of animal protein. From Dr Ron’s blog (southasianhealthsolution dot org) it is clear that he completely understands the magnitude of the issue at hand! Its not going to be easy at all, to try move traditionalists away from rice & lentils. I’ve ordered one for my dad in India. Hope to hear his feedback on the book! I share your skepticism about how diverse diets are misclassified. The South Asian diet is nearly impossible to classify since there is so much diversity. My book is an attempt to provide some foundational principles (like it’s ok to bring back ghee, coconut oil and coconut milk) that allow individuals to use their own personal risk numbers and cultural preferences to choose an eating plan that works for them. I’ve seen plenty of success in both my vegetarian and non-vegetarian patients. Damn! I’ve seen notices for his lectures in the Oracle gym, but I skipped them, thinking it was going to be conventional “whole-grain” advice. Next time, I’ll be in the front row. I can’t see weaning my Malayali friend off masala dosas or rice. Hopefully listening to someone closer to her culture would persuade her. Mmmmmmm. Masala Dosa. If you are going to carb fest, that is a great way to do it. Mmmm. Masala dosa. I’d have one of these any day; they are the height of delicious (OK, but not everyday – higher carb, but as Marybeth says below, there is a lot of good in them). I hope that this book is/will be available in the UK. There is a large South Asian community here. Dosa if made from scratch is rice and gota soaked overnight and then fermented. I am not sure that is such a bad thing. Fermentation is good. “The primal Blueprint” has been a wonder for me. After being a strict vegetarian for over 30 years I’ve very easily lost 25 pounds in a few months. My diabetes is completely gone, I have more energy, sleep better, and have not been sick at all this winter. If Indians have unique problems that prevent them from adopting this sort of program I’m glad that someone is addressing them. Finally some insight into Primal lifestyle vis-a-vis South Asian or Indian lifestyle and genetic predisposition. I have been waiting for this! My Indian friends give me those odd looks when I tell them about primal/paleo lifestyle 🙂 They try to convince me that I am going to fail trying to adopt this western concept 😉 Now I can show them the proof in black and white. Thanks Mark for bringing this to your Indian fans! I am so grateful that this book has been published. I have a huge family in the southeast Asia. I am an RN student and almost graduating. 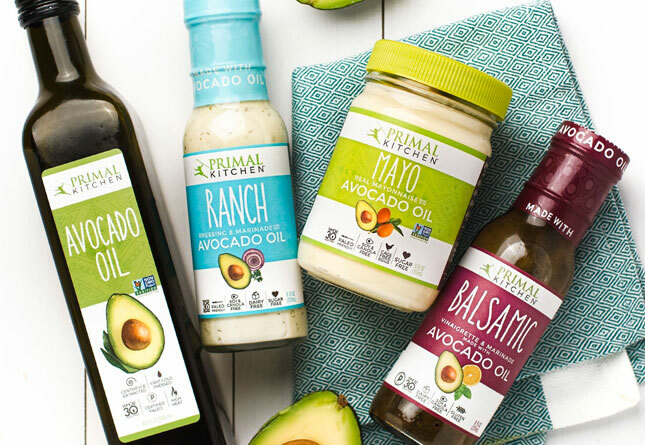 Trying to help my family go primal is difficult for a culture that cooks most of their food with oil, eating unfermented soy, etc. To my surprise, some people still think that high sugar consumption is alright as long as you don’t have diabetes…I just feel so sad that I cannot reach those people. It is just sad that Asian country that focus on academics but then when it comes to nutrition, they don’t really know much and it just seems like the Western knowledge (the conventional kind) about the nutrition is the one they learn right now.